When people think of the North Star State, their first thoughts probably relate to lakes or winter, but the cookbook recipes in The Great Minnesota Hot Dish introduce another of the state’s staples: the one-dish-complete-meal system. Called a casserole in most parts of the country, the hot dish is simple, practical, and delicious. The first edition of this popular book, written by Theresa Millang, dates back to 1999. For 18 years, it brought a variety of hot dishes—from traditional to Cajun, Creole, Tex-Mex, Southern, and Chinese—to dinner tables everywhere. Now, by popular demand, the title has been revised and updated into a second edition. Local cook Karen Corbett, who has spent her life preparing meals for children and grandchildren, as well as students at a school and young campers at a camp, puts her own spin on the Minnesota cookbook recipes, creating a perfect blend of old favorites and new flavors that the entire family will enjoy. More than 50 recipes are new, and they’re perfect for any occasion, from baby showers to potlucks to brunch and more. Fans of the original edition will immediately notice the modern, updated design. The pages’ colorful appearance is supplemented by full-color photographs sprinkled throughout the book, which makes browsing even more enjoyable. Plus, the meals don’t just call for canned soup and frozen vegetables. There are fresher, healthier suggestions, including options to help you “make it modern,” such as using Panko breadcrumbs instead of potato chips. 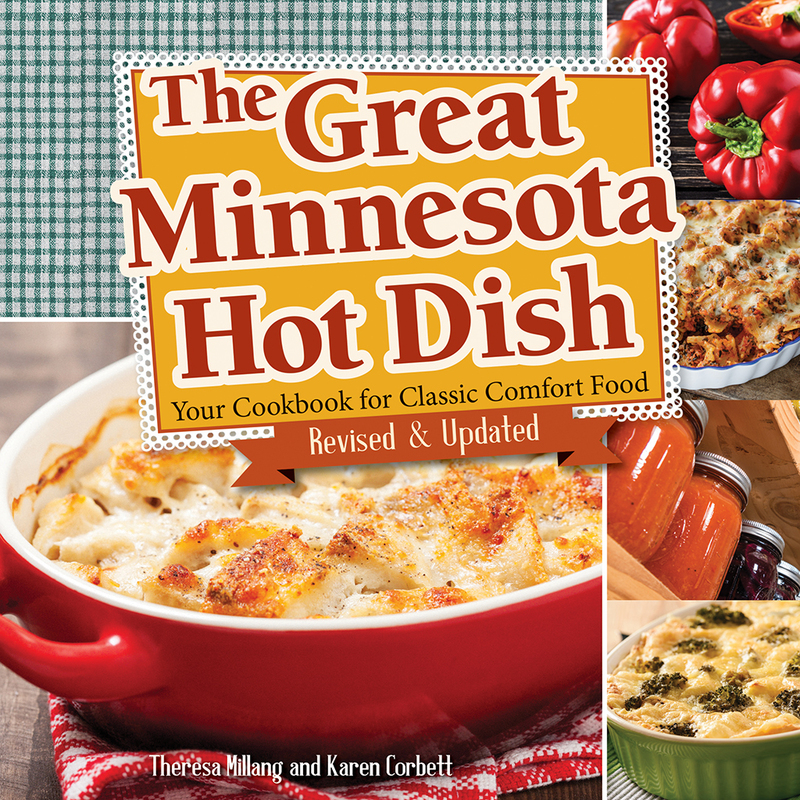 The Great Minnesota Hot Dish includes a variety of cookbook recipes organized by ingredients like poultry, beef, seafood, and eggs. 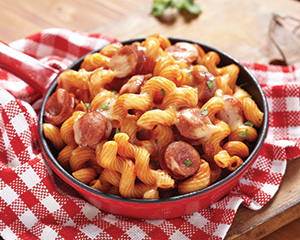 Your mouth will water as you read the directions for “Chicken with Wild Rice,” “Cheese and Sausage Pasta Bake,” “Favorite Tuna Hot Dish,” “Breakfast Burritos Hot Dish,” and more. This title could quickly become your favorite book in the kitchen. Whether you call it a casserole or a hot dish, whether you live in the Land of 10,000 Lakes or beyond, you’re sure to put these cookbook recipes to good use. More than 200 of them, including some that date back to the early 1900s, bring the best of Minnesota traditions straight to your table. We are thrilled you are enjoying the recipe.